Your lettering is really sharp. Did you print the vinyl sticker or buy it? Sign looks great! As an alum, I may need to piggy back off your idea! 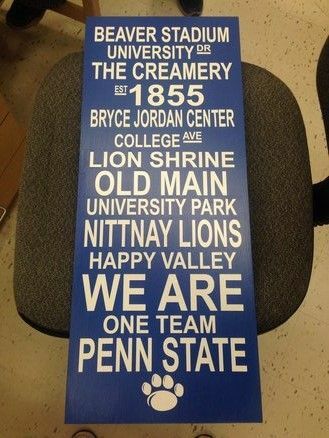 Enjoy Happy Valley, there is no place like it! Nice work Carl, next time Rotate your picture!